Ghosn: Europe will try to avoid Armageddon. Renault-Nissan CEO Carlos Ghosn predicts a tough 2012 for Europe and he has begun taking steps to "protect" the two automakers he leads from a sales decline. "There is no doubt that the market will be declining next year in Europe. 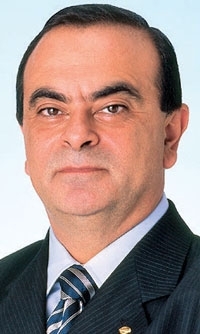 … The only question is how big of decline," Ghosn told Automotive News Europe. "We are more cautious." When asked whether being more cautious meant that Renault-Nissan would delay any capital investments, Ghosn said: "Restriction on capital, restriction on employment, restriction on salaries, restrictions on everything. I'm going try to protect my company as much as I can." Despite the seriousness of Europe's sovereign debt crisis and against a backdrop of financial-market volatility, Ghosn still believes a solution will be found. "Europe is an area of knowledge and experience and sophisticated people," he said. "I don't think they'll just let Armageddon happen without giving their best shot at avoiding it." Ghosn said that Renault is not planning to launch in the United States and would not sell its cars under the Nissan badge there. "Strategically, it's more important for Renault to develop in China than to break into the U.S. market," the CEO said. When asked whether he expects his successor to be able to run both Renault and Nissan, Ghosn said: "I don't think I can find a successor who can do both." He added: "I don't recommend this to continue because I know how hard it is, and I know how hard it is for somebody like me who, by circumstances, has legitimacy from both sides. I imagine [for] somebody who is not legitimate from one of the sides, it's impossible."